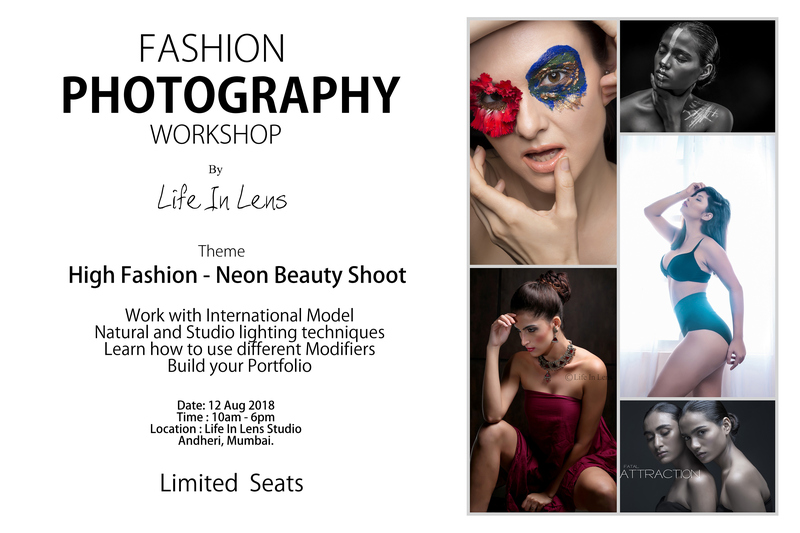 Get a chance to get an in-depth knowledge of fashion photography with Life In Lens, a Mumbai based Photography Agency. Life In Lens is in the Fashion Industry since past 5 years and have worked with many TV celebrities and Commercial brands. Life in Lens has conducted earlier workshops in Mumbai, Pune and Goa. After the successful workshop in Pune last month, we are back to share more knowledge with the aspiring photographers. - Location: Life In Lens Studio, Andheri, Mumbai.